The T-Cards, which represent tobacco issues, are easily the most popular of the designations given by Jefferson Burdick in the American Card Catalog. Tobacco and baseball were heavily linked around the Turn of the Century and tobacco-makers capitalized on the popularity of the growing sport for a variety of marketing purposes. Tobacco cards were popular (and at least one even led to a marriage) but they were also being blamed for causing all sorts of problems related to children collecting them. After a temporary ban on American tobacco cards in the late 1800s, they came back with a bang in the early 1900s. While T-Cards are an important designation, they are only one of two tobacco card types as identified today. T-Cards are for tobacco cards from the 20th Century while N-Cards are now identified as tobacco cards from the 19th Century. While the N-Card designation was initially used to identify cards from Central and South America, it is mostly used today to identify 19th Century cards instead. Tobacco and baseball wasn’t just an American thing, either. As documented in numerous international issues, baseball was linked to tobacco in all sorts of countries. As a result, there are numerous baseball cards in international sets. Most of these, however, were typically part of multi-sport releases and very few were dedicated only to baseball. T-Cards are heavily collected in part because of their availability. T206 cards, despite being more than 100 years old, are still very plentiful compared to other issues from the same era, such as E-Cards, which are much more scarce. The T206 set features the famous Honus Wagner card (pictured here), which is the most expensive baseball card of all-time. In 2017, one sold for more than three million dollars. Tobacco cards typically included advertisements of some sort of the back for the company. These cards were generally placed inside of tobacco products, such as boxes of cigarettes or even loose-leaf tobacco. Cards in packages of loose-leaf tobacco, such as the T206 cards placed inside of Polar Bear brand tobacco, often have stains on them. 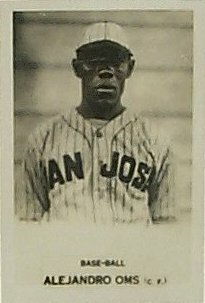 In addition to major league players, tobacco companies also distributed regional minor league sets with their products. Some of the more popular sets featuring minor leaguers include the red-bordered T210 cards and the T212 Obak minor league cards. Looking to learn more about collecting tobacco cards? Here’s an introduction of sorts that I wrote, which covers their history.